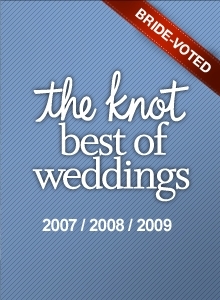 "Our DJ did a wonderful job of making sure everything went smoothly throughout the entire reception. The dance floor was full all night. April also did a great job helping me feel at ease that everything would go smoothly, even when I had a groomsman drop out unexpectedly the day before the wedding. We will definitely use A & A at our next event and would recommend them to anyone! Thanks! 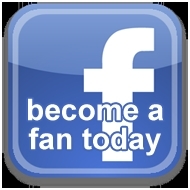 Kelly Barnes"
"Larry & April, I just wanted to thank you for such great service! Paul was great! You guys made us feel very comfortable that what we asked for was what we would get. We had a blast at our reception. Everyone was commenting on how smooth everything went, which is thanks to YOU. The music was perfect! And thanks for coming by so we could meet you two as well. You guys made us feel like our wedding / reception was the most important ever – like it meant as much to you as it did to us! The music and atmosphere Paul created was great. Tell Paul he did a great job! We will be recommending you guys for a long time." "Dear Tony, April and Larry, Michael and I want to thank you ALL for the great time you provided for us at our wedding reception. April, you did a great job planning and helping us get organized. I’m sorry we were running so behind with photos and threw the schedule off! Tony did a great job of adjusting everything and no one was the wiser. Your team provides a great service and we’ll be sure to recommend you to any of our friends! Sincerely, Johnna & Mike Phillips"
"I was very impressed that both April and Larry came to the event to make sure everything was OK. A & A helped our special day be even more special and memorable. The staff was friendly and fun to work with. Thanks for everything!" 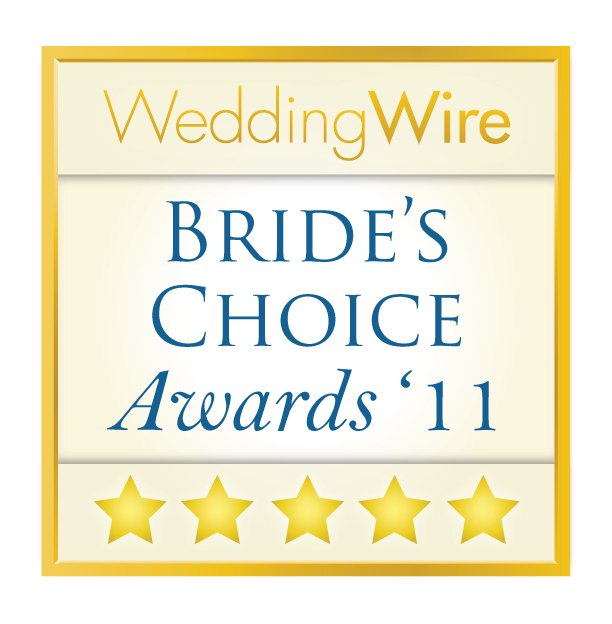 "Your company was recommended by our reception site as a reputable company who did weddings full time. We all had a great time at our reception and have heard nothing but good things about the music and DJ service. We especially liked how Al was able to tastefully get people out on the dance floor with the “Train” and keep them there with the “Twist.” It was a wonderful event that we will never forget and thank you for your part in it. We loved every minute and didn’t want it to end." "I really appreciated all the help that I received in planning the event. I also thought there was a very high level of professionalism. 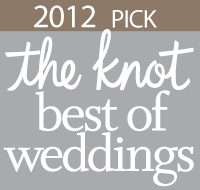 The entire staff was always very kind and patient which is so important to a bride. Our DJ (Darby) was fantastic at the event. She did a great job of keeping everyone organized and all the events happening on time. As the bride, I really felt like I could sit back and enjoy myself. I had no complaints with my experience with A & A. I thought it was a great experience. Thank you so much! Brian & Ashley DeBruin"
"Every single person I spoke with at A & A Disc Jockey Service was wonderfully helpful and exceptionally professional. My mother and I were able to speak to April at the bridal expo in Raleigh last summer. A & A seemed, out of all the DJ companies we spoke with, to be the most professional, with resources that were invaluable in choosing songs and helping with planning the reception. I appreciated A & A’s attention to detail. The questions you asked in the reception planner helped make my wedding day a great success. Please tell Tony he did an excellent job!" "We contacted A & A based on a recommendation of a family friend and because of their professionalism with handling all of our requests, the booklet of information and recommendations. Larry, April and Paul were extremely helpful, getting back to us in a timely manner was great too, whenever we called. I cannot say enough about how helpful April was in helping me with the sequence of the reception events and songs. Such an overwhelming task, and she made it sooooo easy. 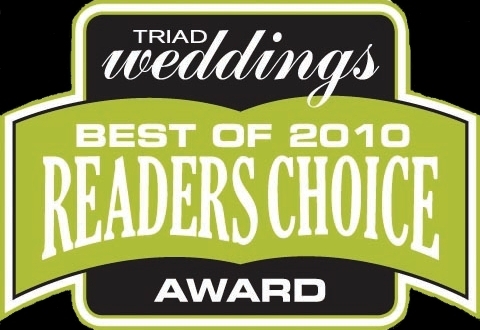 This was the easiest company to work with in all the wedding planning and was the one thing that went completely right!" "A & A Disc Jockey Service was so professional and helpful. They catered to our every need. Tony performed above my hopes and expectations. He played everything I specifically wanted and made our reception perfect. Tony was superb. He always asked me if things were going OK. He would ask my permission to play something if it wasn’t on my list or OK’d in my planner. Everything was all set up when we arrived. All my friends and family thought the music and the mood set by the music was fabulous. I cannot thank A & A enough for all they did. Larry and April were so very helpful and I wouldn’t change anything." "I think you guys did a great job. Everything went very smoothly and when changes needed to be made they were made. The evening was perfect in our eyes and lots of people said it was one of the best receptions they had been to." "We had looked at several perspective DJ’s by the time we met Larry at a bridal show. We were impressed by his knowledge, attitude, experience and suggestions. A & A Disc Jockey Service was extremely professional and did an awesome job. Our wedding guests were so impressed and several expressed their enjoyment, i.e. “If someone didn’t have a great time tonight, it was their own fault.” We are still getting phone calls, cards and comments stating that it was the best time they’ve had at a wedding. We would recommend you in a heartbeat to anyone needing a disc jockey service." "We were very impressed with the promptness and the professionalism of the staff. All of our questions were answered and there were no hidden surprises. Several DJ services were recommended to us; however, after talking with the staff at A & A we agreed that we would not be happy with anyone else! We were highly impressed with Al and his ability to engage his audience. He made sure that everyone had the opportunity to enjoy the evening. April’s services were most helpful and appreciated." "April was extremely helpful and really took over a lot of the planning at the end. She was terrific. My sister (Scott’s) got married 4 years ago. My parents spent around 35k on her wedding. Everything was perfect, except the DJ. He really came close to ruining the entire reception. He was awful. My whole family had that experience in their heads for my reception. By the end of our night they really wished they had hired you folks. You showed that you were extra concerned with making sure that we had the type of wedding that we wanted, and not what you thought we should have. The help in coordinating was so helpful. Thank you and we will surely recommend you to others." "Tony was absolutely wonderful. I would highly recommend him and A & A to everyone. He was energetic, courteous and asked questions whenever he was unsure about anything. Thank you again for a wonderful evening." "When Chuck and I first met with Larry & April we knew we wanted them involved with our wedding day. They were very friendly and gave great suggestions. We also liked the organizer / planner they provided to fill out for the reception. It was very helpful! Thank you all so much for everything! Larry and April, you both made it an easy decision in picking a DJ. April, you were awesome to talk with and helped me in planning our special day, plus you gave great suggestions in the flow of events. It was also so special of you both to make a point of coming to see us on our wedding day and make sure we were happy with everything. Paul, we want to thank you for giving us the best party of our lives! Everything about that night was perfect and we owe a great deal of that to you. We also love the CD you made for us…very memorable. I just can’t thank you guys enough! Take Care! Chuck & Carrie." "April was very helpful, honest, fun and I felt very confident in her abilities in planning our event. I appreciated how Tony greeted us, and got my bridal party in order for me. Also, he listened to me and my guests." "My brother hired A & A for their wedding and the DJ was Darby. We had a blast at his and my mother and I (and my husband – whoops) knew that we wanted A & A to DJ my wedding and a special request was made for Darby. Thank you for making it a night that I didn’t want to end! I loved the song selections and the interactive activities chosen… I hated that we were late arriving. That cut into some songs that I had really hoped to hear, but it’s completely understandable. Thank you for honoring my “Darby” request too! You guys will always be my first suggestion for others." "We had been to a wedding where A & A provided the music and it was a great one, so we went about getting them for our wedding. Tim and I and my family were completely satisfied with A & A Disc Jockey Service. The entire reception went on without a flaw due to the very specific planner that was provided by A & A. I have never seen so many of my friends and family dancing the entire night away. We are more than pleased with the service that you provided and thanks to you, our wedding reception was “one for the ages” as said by my father. Thank you, thank you, and thank you!" "We thank you for a fabulous evening!! It was a memorable reception. Countless comments were received from numerous guests that it was “the wedding and reception of the century!” And you helped make it that way. Thank you again for your impeccable service. We will contact you for any future needs." "A friend had recommended you and I will be recommending you to others as well. It was well worth the cost. We were very pleased with the service provided. Tony & Nate were Outstanding. My goal was for everyone to have a good time and they did due to Tony and Nate!! The service was excellent. We were well taken care of. Thank you!" "I had no idea of what I wanted – Larry knew and assured me that it would be okay. My girlfriend recommended you. Connie at the airport Marriott said you were good – she should have said you were GREAT! Tony was the absolute BEST – We have a video of the evening and he was perfect. I really appreciated Larry and April showing up to see if everything was okay. I work for a jewelry store where couples buy engagement rings – I will definitely recommend your services. You were the best part of the wedding. Thank you so much. Nancy Lacquement." "You all were so sweet. Thank you for the great service, answering all my questions and helping to calm me down before the big day. We loved it! I wish we could do it all over again. Thank you so much. I’ll remember it forever." "We had a fantastic evening – Tony was a huge part of that. He was fun and personable, played great music and made everyone feel part of the occasion. Thank you for an outstanding service! " "Kristi was very pleased each time she spoke with April during the planning. We have used your services or been a part of weddings you have done on three occasions and we have been very pleased each and every time. If the time arises again and we need a DJ service, we would not hesitate to use A & A again. The fact that you are reliable and professional plays an important part in our decision. Say hello to Darby and tell her we “love” her. Thanks again. Donna Shaffer." "The office staff was always helpful and friendly. All of my questions were answered and I always felt comfortable that I had made a great choice. I had attended a bridal show and met Larry. I appreciated the knowledge, enthusiasm and the years of experience A & A had to offer. The pricing breakdown was easy to understand and the planner was a lifesaver!! I would like to say thank you to everyone I worked with at A & A. I also appreciated Larry stopping by the reception – it showed he cared about our event. Tony was amazing and a lot of fun. The music was perfect and the reception stayed on schedule, which I appreciated. Heath and I have heard all positive comments from all of the guests. A lot of guests said it was the best wedding they had ever been to. We definitely feel that way. Please tell Tony we will always remember him. Melody Swaim." 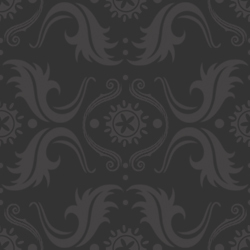 "April was very helpful. She was willing to give helpful advice and made me feel as if our wedding was at the top of her list. Al was wonderful. We had a great night of dancing because of him. We did not have to worry about anything the entire night from the intros to the final dance. He handled it all so we could celebrate. He even personalized things for us by sharing stories he had been told by guests. Very personable and professional and most importantly, fun and energetic! He motivated the crowd and got the party started. Thank you, Al, for a great night. We really appreciate it and will remember you in the future. Shelly." "I had several guests at the reception commenting that they really enjoyed the music. My parents and my husband and I think that the DJ and music were the best part of the reception. I will certainly recommend Darby in the future. She was a blast to work with. Thanks for making our wedding reception so enjoyable! Rebecca Welch." "We originally called because of a recommendation. Then we went to several weddings – some with A & A there and some with other DJ services – there was no comparison. It is four months later and guests are still talking about Tony – he is the best we’ve ever seen. I was a nervous bride and asked Tony to guide me and the show. He took excellent care of us and our guests… I can’t stress enough how pleased we were with A & A and especially with Tony. John was the best man in a wedding last September and the DJ was terrible. They didn’t use A & A. Me niece did use A & A and we knew from her wedding we wanted to use you. Tony was perfect!"